Much of the work we do in mental health and migration involves trying to respond to the needs of hundreds or thousands of people. 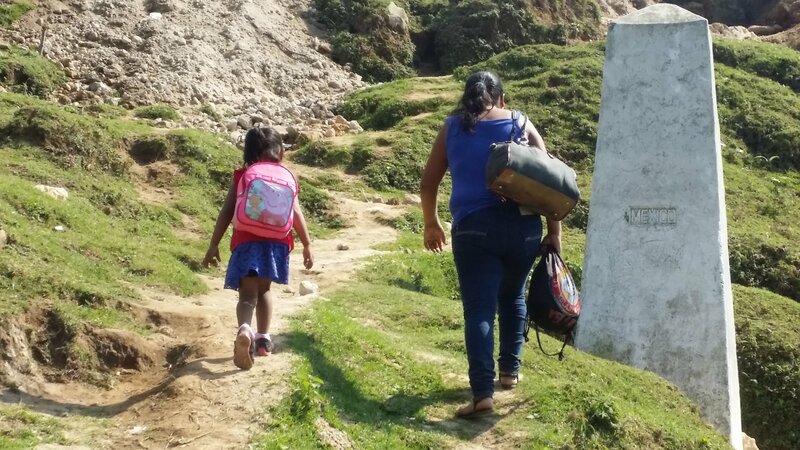 It can be challenging, especially in the context of emergency settings, to remember the individual stories that underlie the tragedy of forced displacement. Here, as part of the #MHPSSMatters campaign – a collaboration between MHIN and MHPSS.net marking Refugee Week 2017 – we are privileged to have permission to share some insights from the field by Lynne Jones. Lynne is a child and adolescent psychiatrist, writer, researcher, and relief worker, and has worked for many years in a wide range of extreme settings. Parts of this blog and the full diary were first published by Harvard University's FXB Center for Health and Human Rights, where Lynne is a Visiting Scientist. 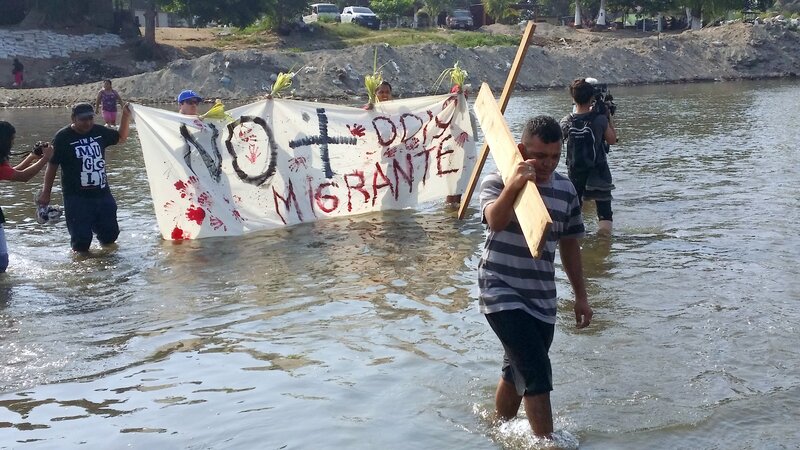 In our previous blog, the author and her husband Asmamaw had just started covering a friend’s clinic in a shelter in the Mexican town of Tapachula, as part of the Via Crucis de Refugiados ( ‘Refugee Caravan 2017’) march across the length of Mexico to draw attention to the right of individuals to escape violence and seek refuge. ... by which they mean never, the man said. I begged them to amputate, but they threw me out, I felt worse than an animal. He had been living on the streets for some years after being deported from the US where he had a small business. The wound was suppurating and smelling through badly applied bandages and splint, but there was no response to calls to the hospital that had seen him, so Asmamaw did his best to clean the wound, organise the dressing and plaster, and start him on antibiotics, not enough, but all he could do. Meantime I go out to find valproate for a woman who has been taking it for 15 years to effectively control her epilepsy. A Mexican doctor had switched it to another drug without discussion, as a result of which she was sleeping all the time and having two fits a day. As she assured me she was not going to get pregnant and knew the risks, I was glad to find the drug and give it to her. All I can do for her as she is moving on tomorrow. I learnt today that Mexicans have at least 12 words for sad states. I particularly like chipiliento, apparently used for a crying child who is jealous of a baby sib, and cabizbajo, literally having your head down. I have been teaching mental health related to migration, six hours a day for the last four days to some 30 people: psychologists, NGO workers, UNHCR folks, and 10 medical students. When I explained during my lecture on acute stress that WHO guidelines make a strong recommendation against prescribing benzodiazepines, one of them said they could not believe they were listening to a psychiatrist who was against prescribing pills. At the end, we had a feedback session on what they liked about the course and what could be improved. One of them told me I was ‘eclectic and unorthodox’ and unlike any psychiatrist he had ever met. I thought this might be meant to go under the ‘Room for improvement’ column but he was kind enough to clarify that it was intended as a compliment, and added that I was humane as well. I do hope so! A small news item from Reuters says that asylum applications to Mexico have increased by more than 150% since Trump’s election. 5,421 have applied to stay between November and March 2017, compared to 2,148 in the same period last year. They expect perhaps 22,000 this year. COMAR [the Mexican Commission to Assist Refugees] and UNHCR [UN High Commissioner for Refugees, the UN refugee agency] say they have improved their ability to identify who is eligible for asylum. Let’s hope that means Elise [a Salvadorian refugee who had been a victim of gang violence as well as the lengthy, impenetrable, and seemingly arbitrary decision making system of COMAR] and her children can stay. If they don’t make it across the US border, that is. The full diary is available on the FXB website, which will regularly publish more of Lynne's diaries in a series. Lynne Jones’s most recent book is Outside the Asylum: A Memoir of War, Disaster and Humanitarian Psychiatry. With Luke Pye she has also co-created a website where migrant children can tell their stories themselves through drawing, video, and words. Go to the website for Migrant Child Storytelling. Lynne Jones can currently be heard on the BBC Radio4 programme Start the Week, where she explores how far mental well-being is connected to human rights and the social and political worlds in which we live.